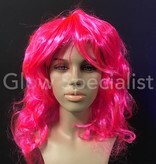 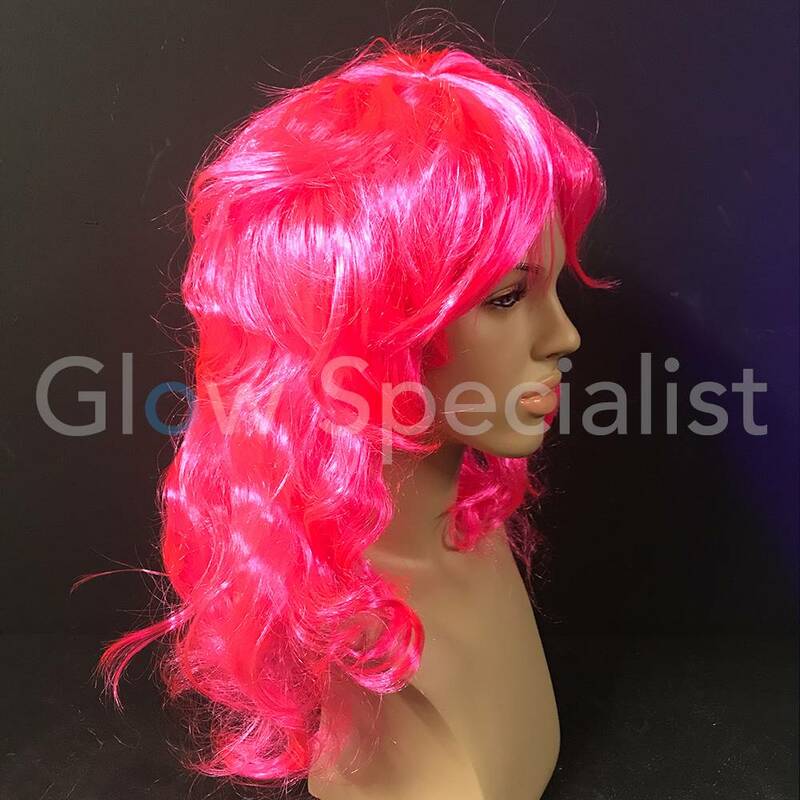 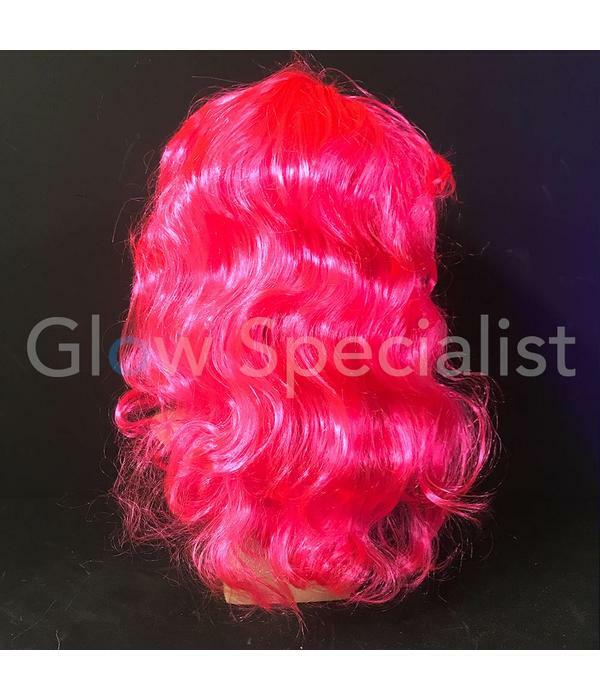 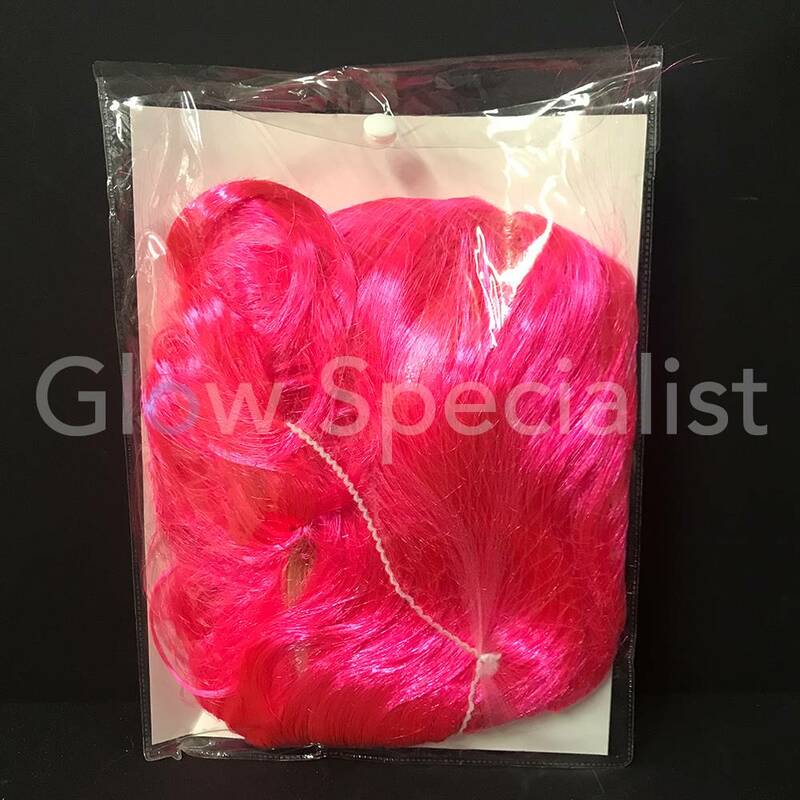 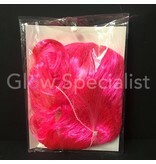 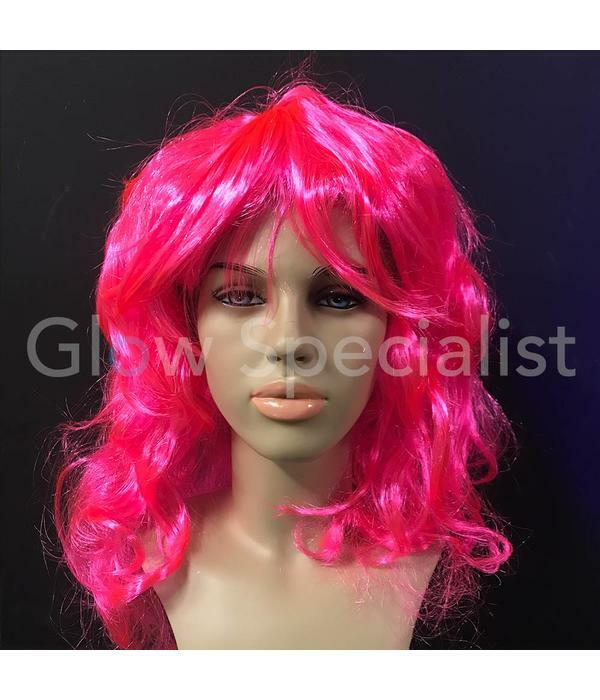 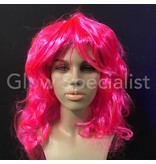 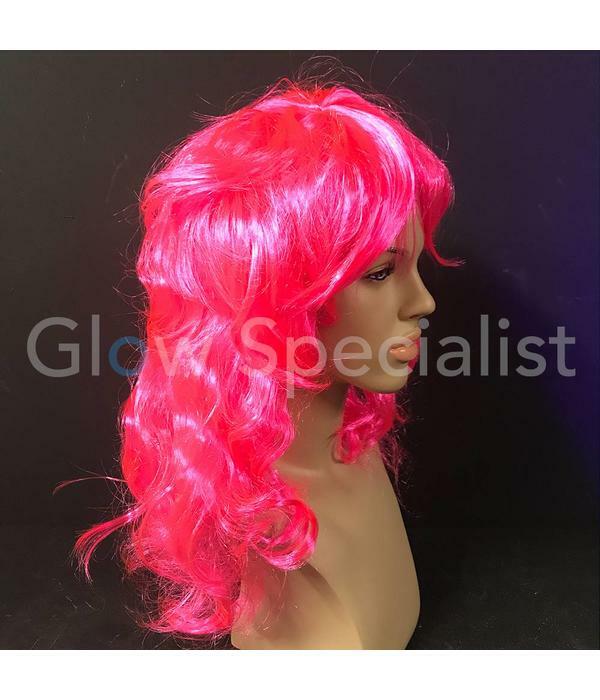 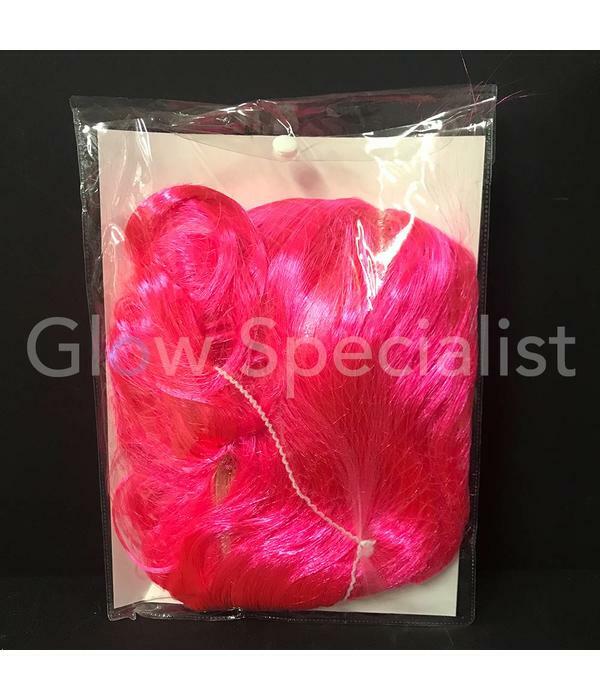 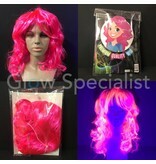 Complete your party outfit with this neon pink wig. 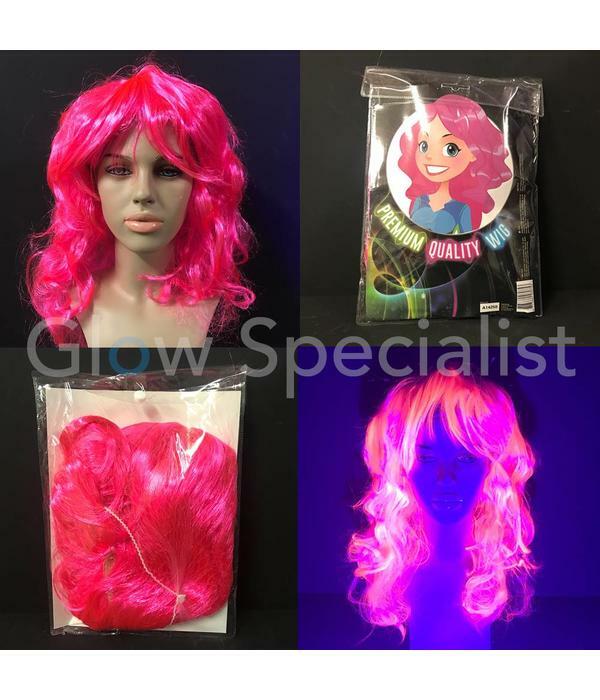 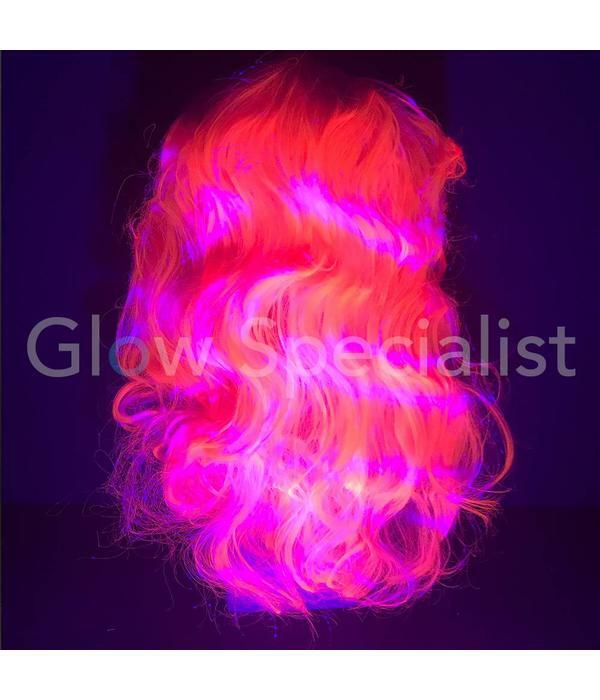 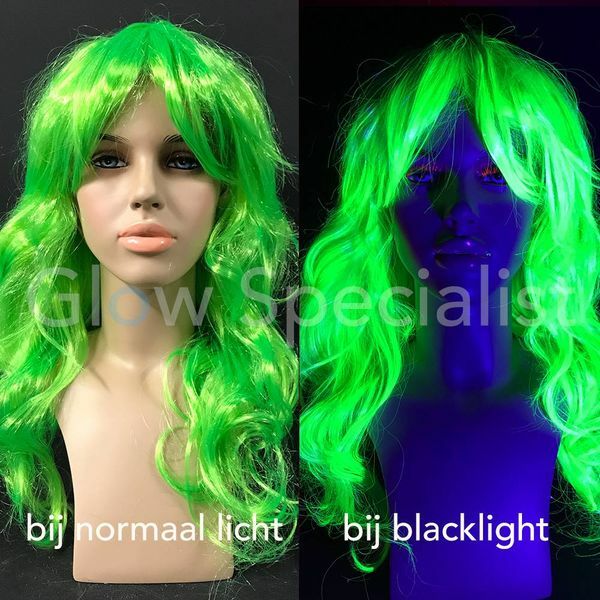 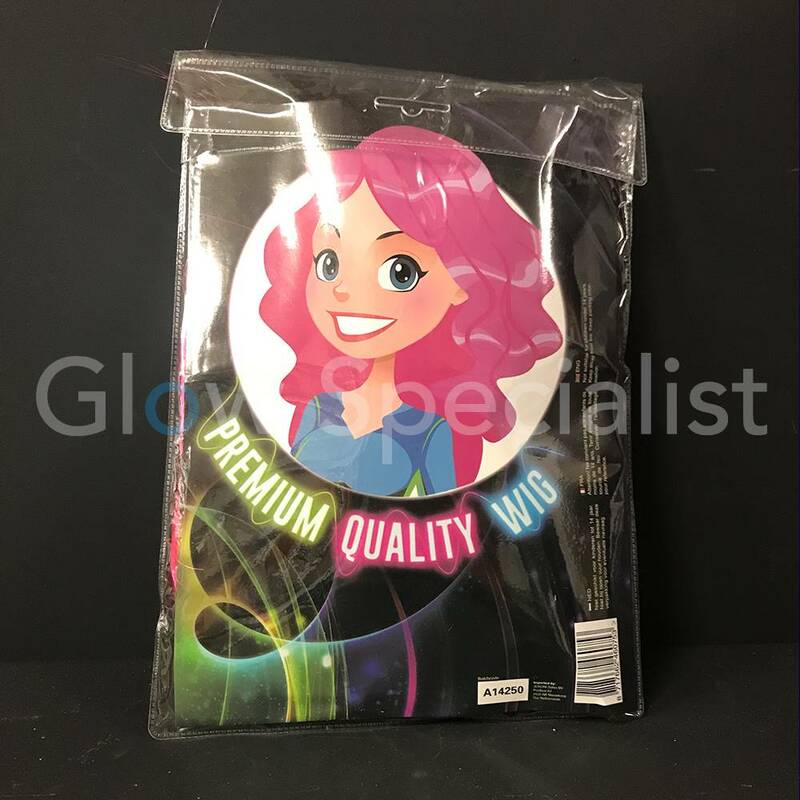 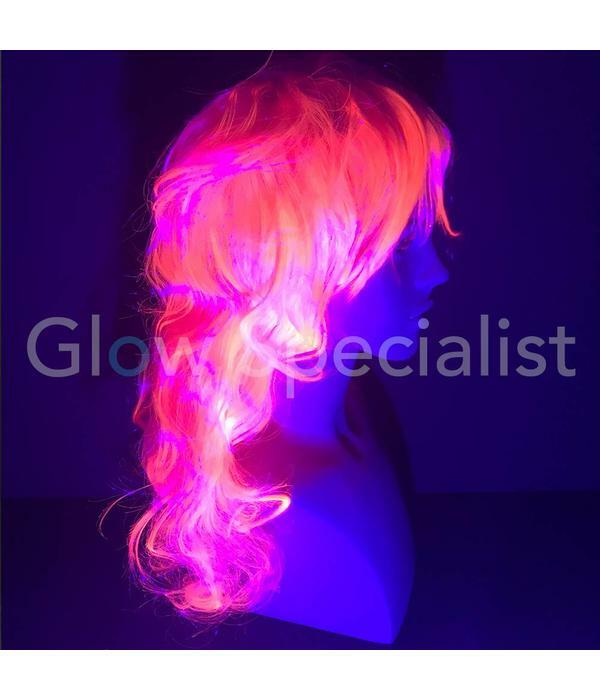 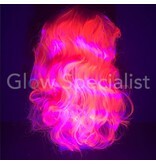 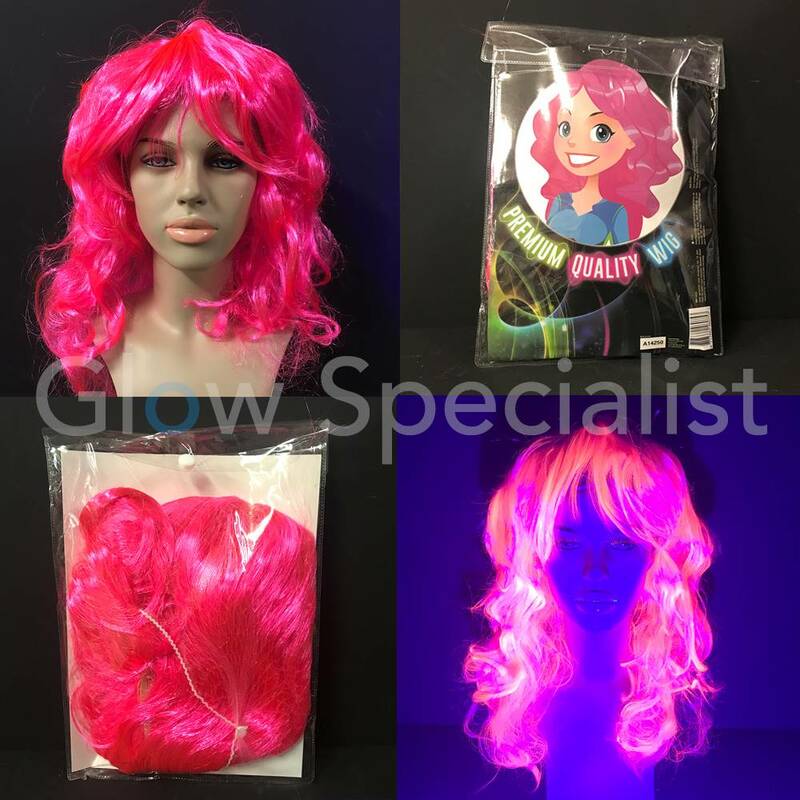 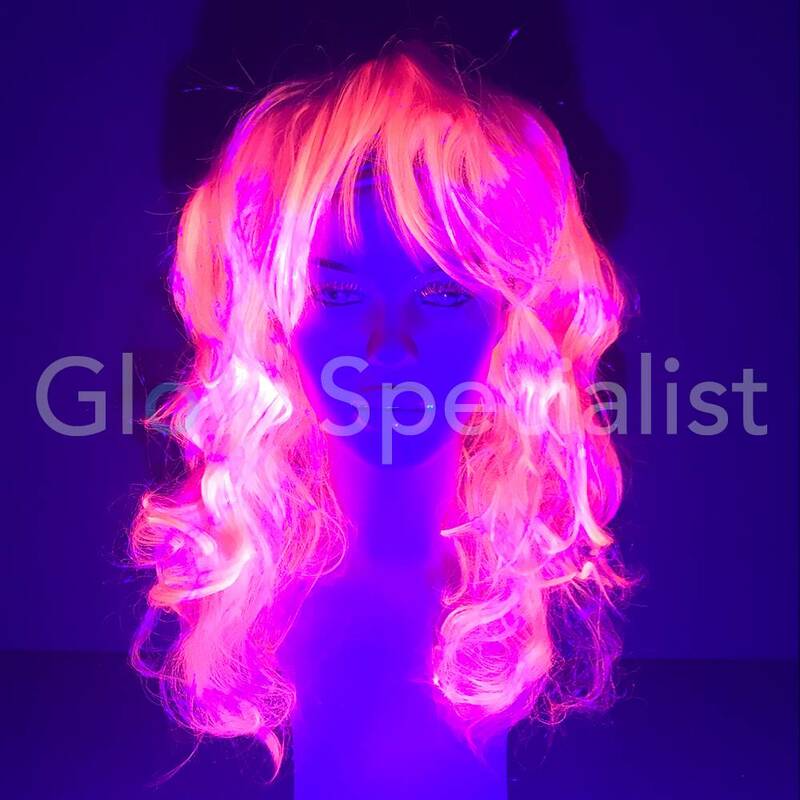 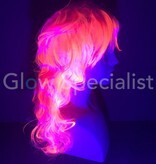 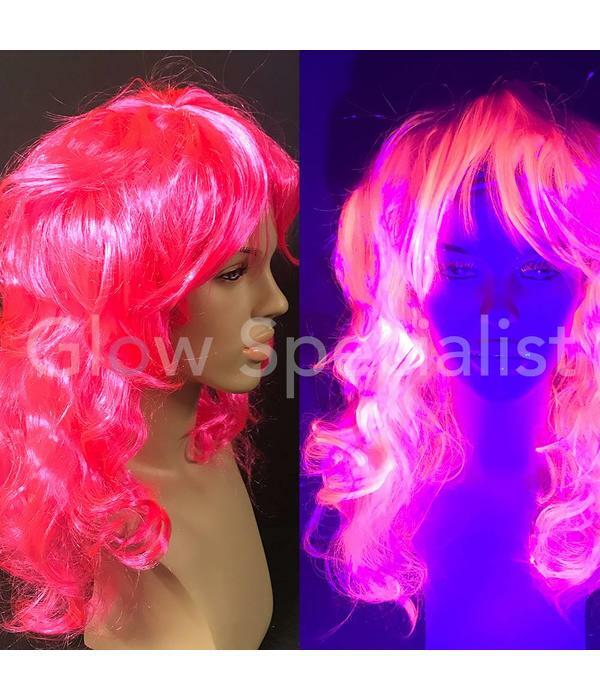 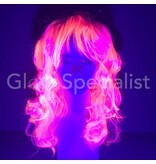 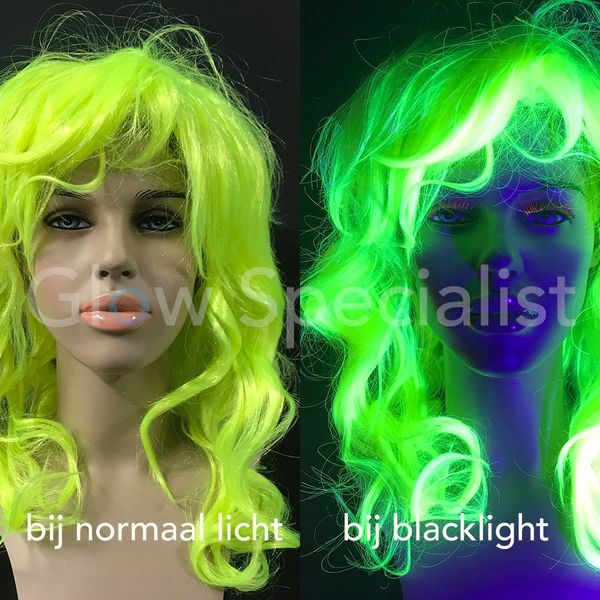 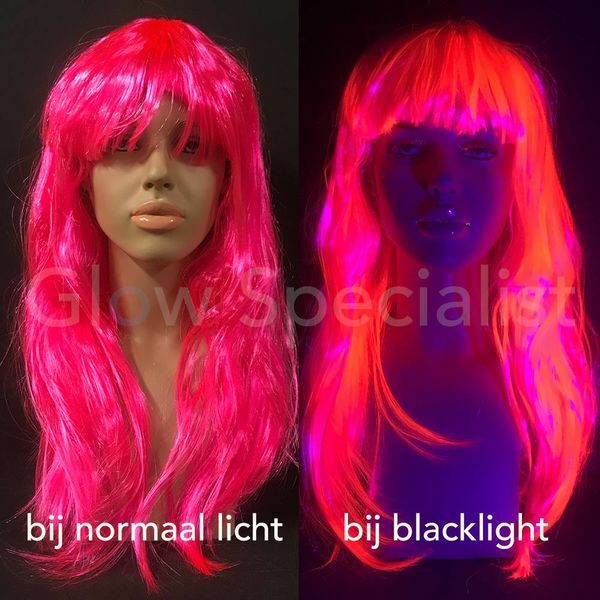 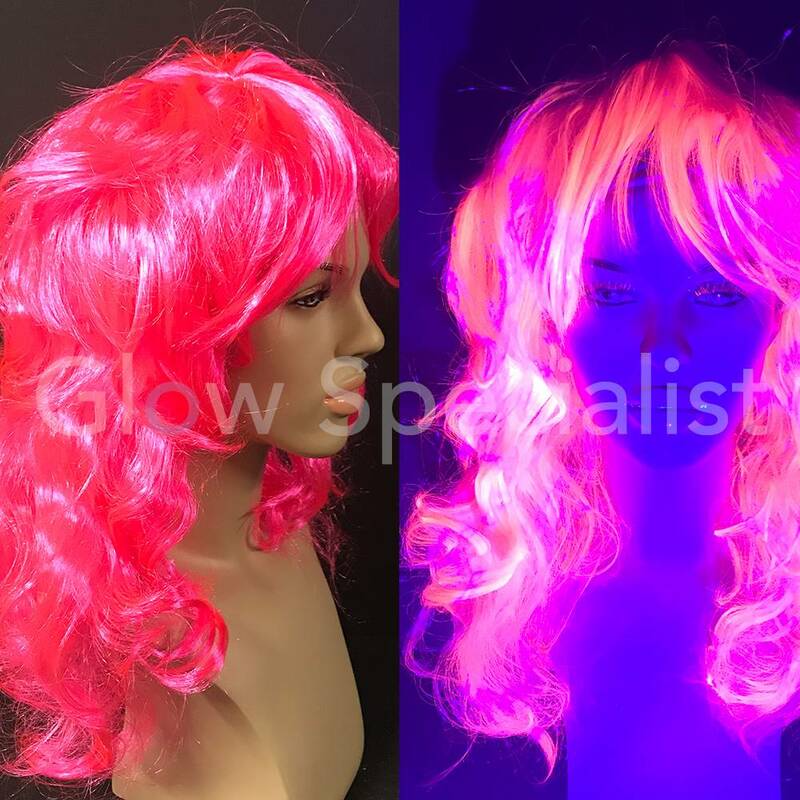 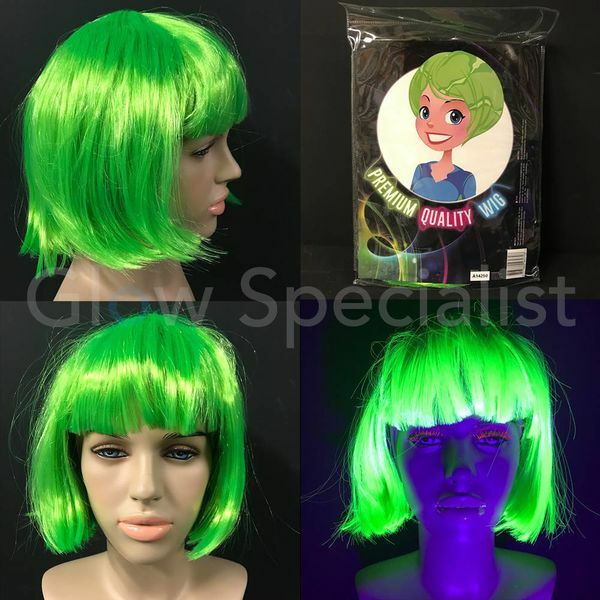 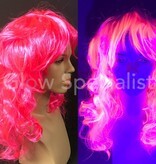 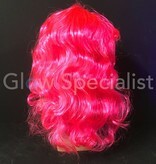 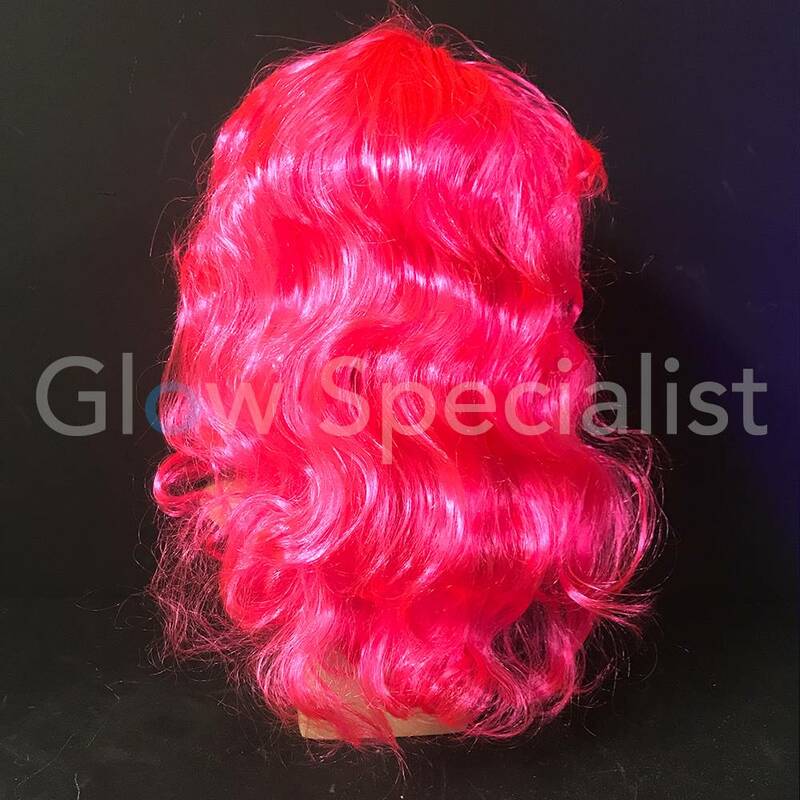 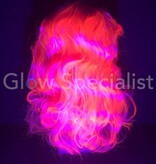 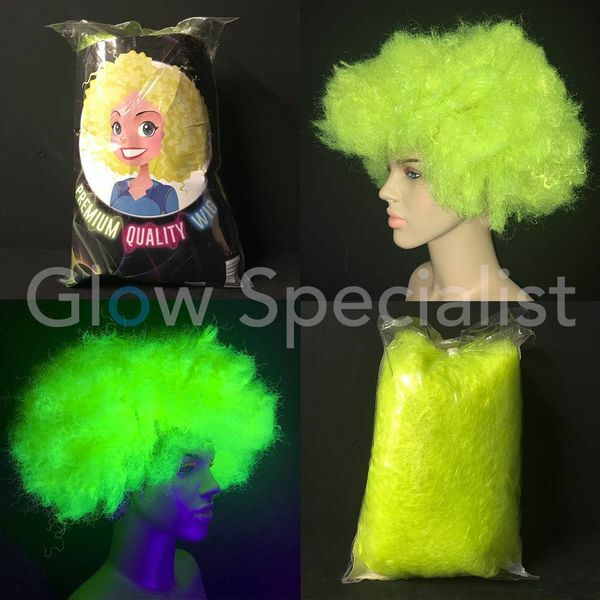 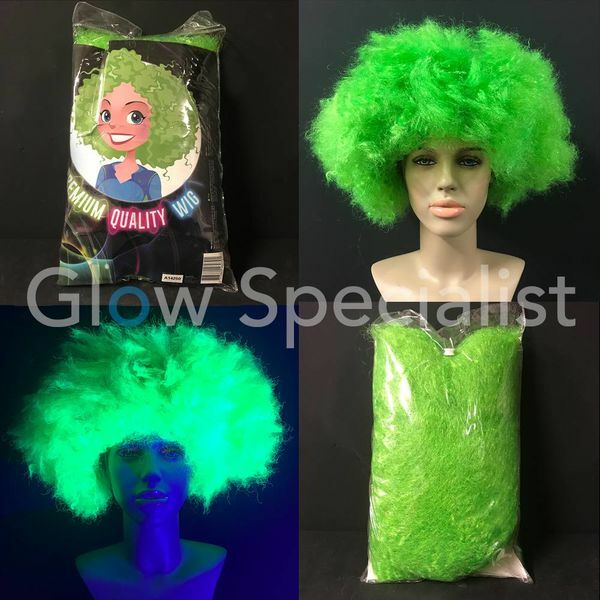 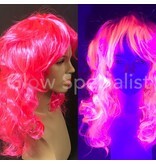 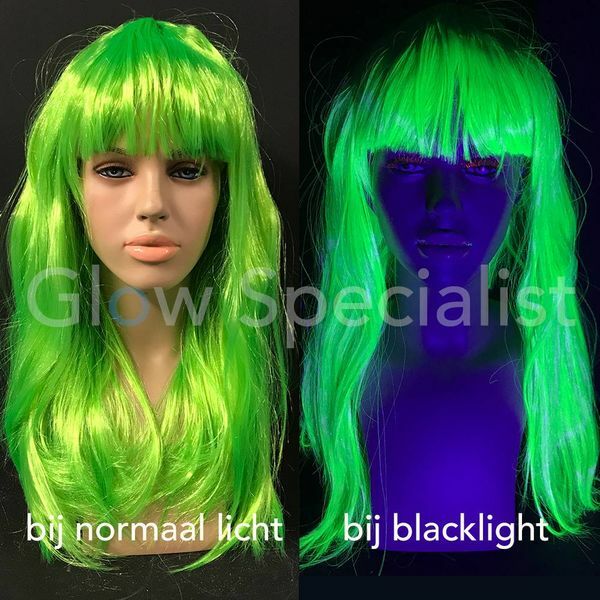 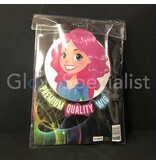 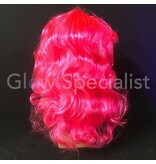 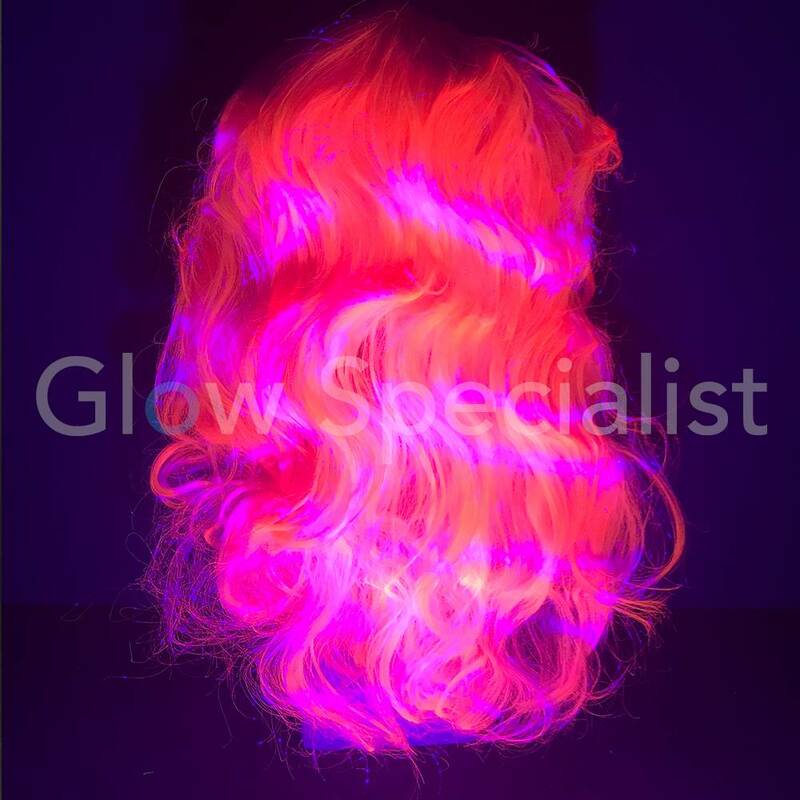 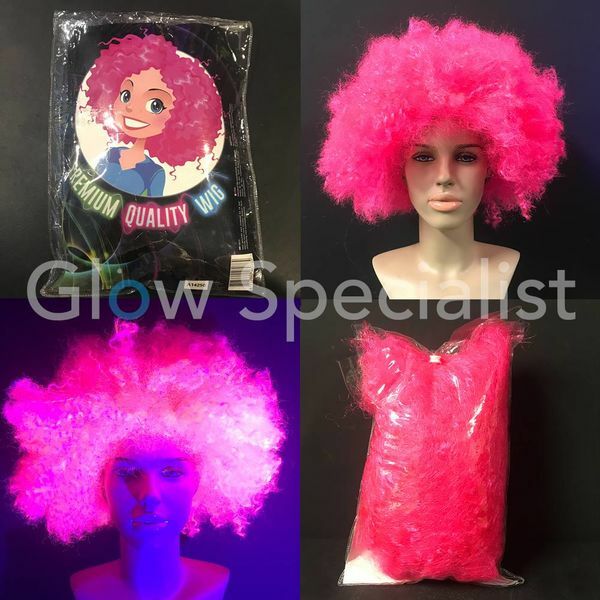 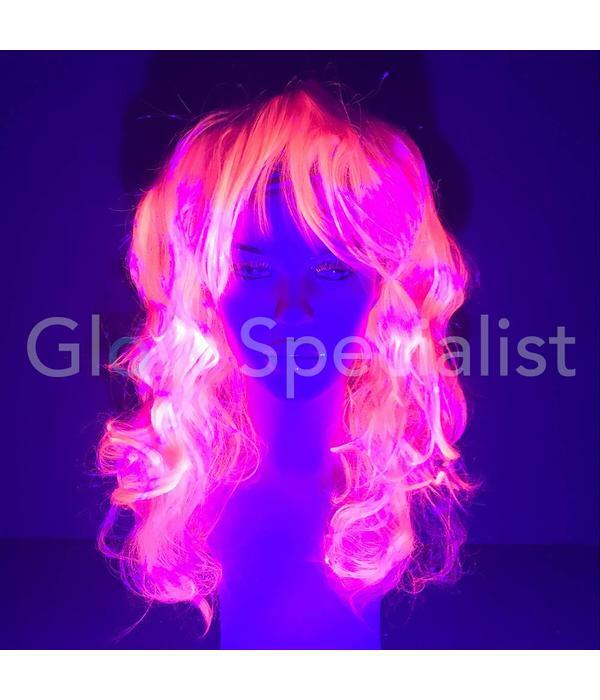 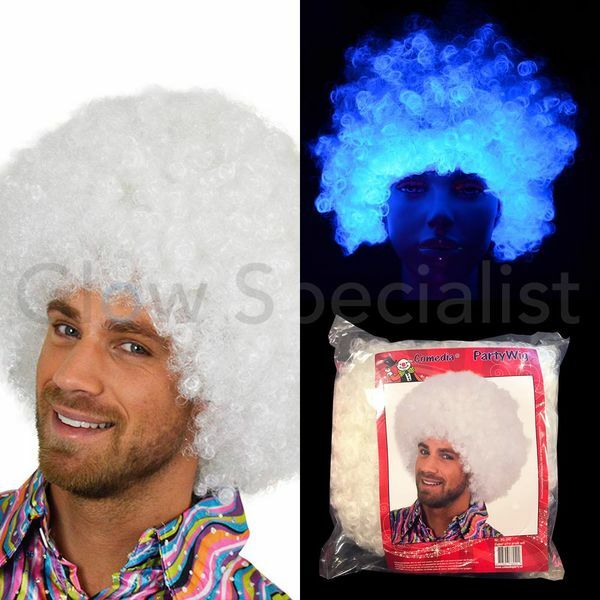 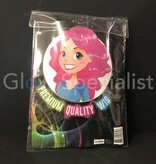 The wig has long curly hair with bangs and is fluorescent in blacklight. 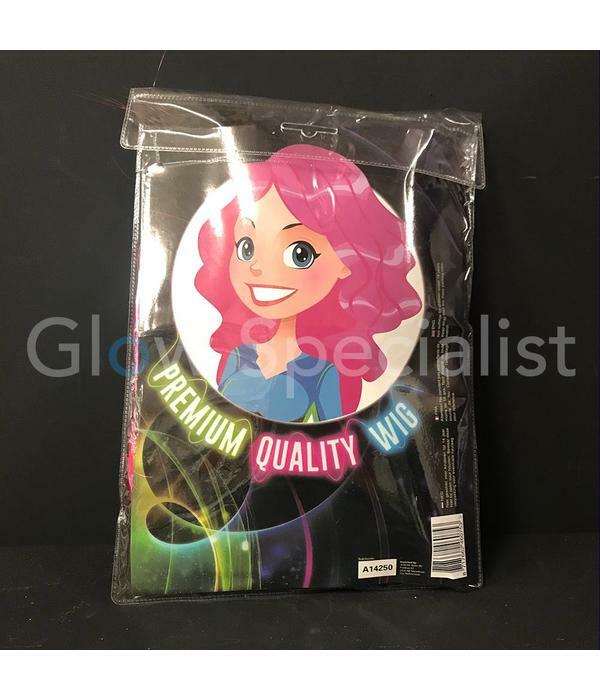 One size, 60 cm long. 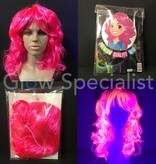 For theme parties, carnival, glow parties etc.